Prairie Junegrass is a native, perennial, cool season tufted bunch grass , growing actively when soil temps are cooler in spring and fall. It produces lustrous silver-green seedheads in early summer. The supporting foliage is an attractive green-gray color. 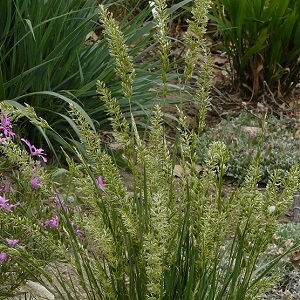 June Grass prefers full sun and dry, sandy soil.